Photo illustration by Sara Wadford; Shutterstock.com. If the promise of artificial intelligence is to make systems smarter and more efficient, there may be no better candidate than the U.S. criminal justice system. Mass incarceration runs rampant, jailing people costs tens of billions of dollars per year, and those returning to society reoffend at a rate of 77 percent within five years. This system is broken. Thankfully, the “tough on crime” policies that created this mess are giving way to “smart on crime” approaches. The federal First Step Act, which was signed into law in December, is one attempt to stem the tide of America’s incarceration binge. In part, the new law will release some people from federal prison earlier based on a series of factors that determine their risk to society. This approach will require an algorithm that will be built on and informed by existing data. 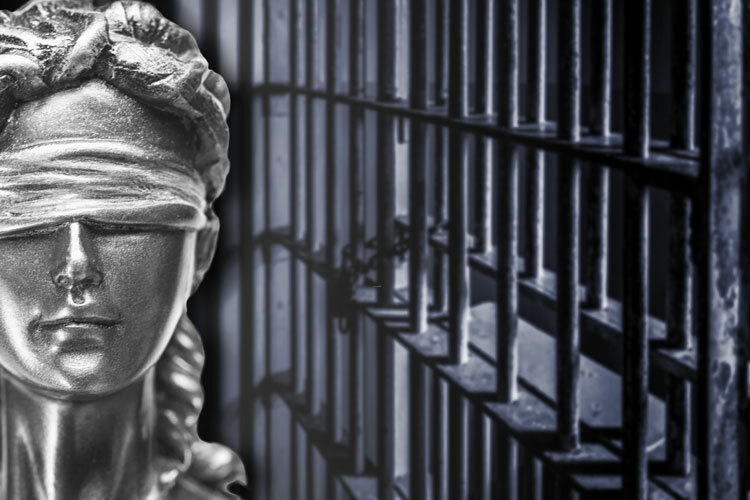 Not alone, more than 40 jurisdictions—including states such as Kentucky and New Jersey—use an algorithm to determine bail, sentencing and parole. Data, automation and a culture of experimentation can further hasten reforms, making the criminal justice system smarter, fairer and more just. However, careful attention must be paid to the infrastructure at the heart of every AI system: the data and its algorithms, the human beings who use it, and accountability. In a recent article published by the Shorenstein Center at Harvard University, we argue that the federal government and states need better data and data policy to end mass incarceration. It’s our belief that this starts with policymakers, who have to pay more attention to the foundational issues of data collection and standardization, which includes training data that build AI systems and data sharing, as well as the oversight needed to ensure that automated processes are yielding desired outcomes in practice—not theory. As it stands, deficiencies in these areas already are presenting challenges. Risk assessments, for example, are built on historical data and run a real risk of reinforcing past practices that led to mass incarceration, such as the over-incarceration of poor and minority people. In the case of second chances—policies that increase the eligibility of people for early release, clear their criminal records or help them regain the right to vote—there’s an opposite problem with data: It’s not there. There is a gap between those eligible for “second chance” assistance and those who take advantage of it. With better data, it would be easier for governments and advocates to restore rights of citizens who are returning to society. Artificial intelligence and automation provide great potential to turn the tide on mass incarceration in the United States. However, it will not be as simple as using the right tool or finding the right data set. If criminal justice reformers and policymakers are serious about a smarter criminal justice system, enhanced in part by artificial intelligence, they must prioritize creating a smart and strong foundation—based on solid data and solid data policy—on which to support it.